It doesn’t rain often in California, but when it does, it pours! While staying inside with hot chocolate under the covers may be ideal for you, it probably won’t be for your dog. Certain canine breeds have too much energy to lie around all day, so they need to be stimulated even when they’re indoors. Dogs also don’t wear clothes to stay warm like humans, so unless you have a cold weather breed, it’s important to find a way to keep them nice and toasty. Because dogs can’t speak, it can be difficult to understand what they need to stay safe and healthy when the weather changes. Check out the guide below to learn how to handle rainy days with your furry friends! Outdoor pets should be brought indoors on rainy days. No matter how rambunctious your dog is, it’s too cold and dangerous to leave pets outside during a storm. To keep your home clean, give your pets a bath before they romp around the house. You’ll also want to lock cabinets, hide valuables, and put fluffy, chewable pillows in a safe place. Unlike cats, dogs don’t normally use the restroom inside. It’s doubtful that you’ll be able to train your dog to use a litter box in just a day. If it’s just drizzling, your pets can probably still go outside to do their business, but if it’s a torrential downpour, we recommend setting up a doggie station in the bathroom. Place a wee pad on some newspapers or in a box in the bathroom. These are incredible absorbent but disposable. When your dog signals they need to go, direct them to their new doggie station! Dogs can get sick just like humans. Their fur may provide enough warmth for a cloudy day, but it may not be sufficient on a cold, rainy day. Turn on the heat in your home until the temperature is at a comfortable 68-78 degrees. If that’s not an option, you may have to bundle your furry friend in a doggie sweater and provide plenty of warm blankets on their sleeping mat. On days when it’s just sprinkling, you can actually still take your dog on a walk outside! Invest in a large umbrella, poncho, and rain booties for your dog to keep them dry in the rain. As you go along your walk, you may want to keep your dog on a tighter leash than usual to avoid getting splashed in puddles or mud! Tug of War: This is a fun game you can play with your dog to help them release some energy. Best part is it doesn’t require much space and all you need is a sturdy object to grab between the two of you. Sniff and Search: Have your pet sniff some treats or objects and hide them around the house. It’ll be a physical and mental workout. Obedience Training: A rainy day is the perfect time to treat your dog new tricks! You’ve got all the time in the world to show them how to roll over, stay, jump, or shake your hand. Shopping Trip: There are plenty of stores and malls that are pet-friendly these days. Walk your pet up and down the aisles of an indoor shopping center for some much needed exercise. Spa Day: Who doesn’t love a spa day? Groom your pets to perfection, so they’ll be ready for the outdoors once the sun comes out. You can trim fur, clip nails, and brush them to your heart’s content. Boxes: Giant boxes can be a lot more fun than they seem! If you have some lying around, take them out for your pets to explore inside. Hide and Seek: This game isn’t just for children. It can be fun for dogs as well! Blow Bubbles: Let your pup admire and chase down a few mysterious bubbles indoors. Bubbles float slowly enough that it won’t cause a ruckus to follow them, but they’re just as fun as balls. Many pets are afraid of thunder because the loud sounds are startling. It can be frightening because they don’t understand what is or where it’s coming from. On the bright side, there are ways to prepare your pup and keep them calm during the storm. One way to help your pet feel safe and secure is by providing a cozy haven indoors where they can seek shelter. Outfit their usual sleeping arrangements with soft pillows, blankets, and familiar toys. You can also get a crate or igloo, so they feel like they are in a small, safe space. Make sure to close any windows or doors that could be making the sounds more loud and threatening than they need to be. You can also try to distract your pet during the storm. Stay by their side as you play with new toys, give them treats, or listen to music together. It might get their mind off the scary sounds and help them focus on something else. Plus, your presence is probably comforting! If none of these work, you can always consult with the veterinarian to train your pet how to behave during thunderstorms. The vet will be able to determine what exactly is triggering your pet and how to treat that. There are also sleeping and anti-anxiety medications available to calm your dog down if worst comes to worst. Our Anaheim veterinarian at Brookhurst Animal can help figure out what’s going on and prescribe medication if needed. Considering how dry California is, rain is always a blessing, but it can be a little burdensome if you have pets. We hope our guide can help you enjoy these days spent indoors better than before. 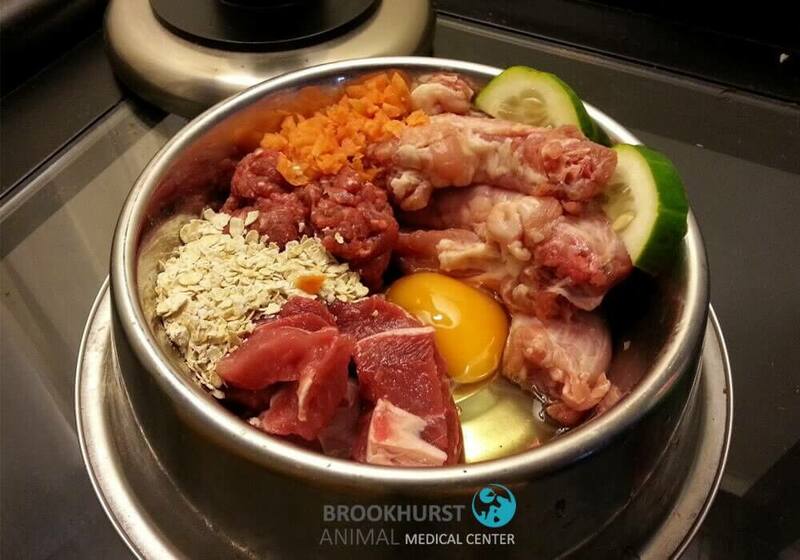 Give us a call if you have questions or would like to book an appointment with our vet at Brookhurst Animal! Pop open the bubbly and string up the tinsel, it’s almost New Year’s Eve! It’s the perfect time to get together with family, friends, and of course, pets. Though most of your human companions will have no trouble rejoicing in the new year, your dogs and cats may not understand what’s going on. To make this holiday fun for all your furry guests, here’s what you should keep in mind before the countdown. If you plan on having guests over to celebrate the new year, make sure your pet is ready for them. Some animals can get overly excited or even hostile at the prospect of visitors. Pets who are uncomfortable with humans may bark or hiss loudly and even attack. Keep your pet on a leash or behind a pet barrier to avoid this situation. Making a toast to the new year with a freshly opened bottle of champagne is a New Year’s tradition, but it’s important to be responsible throughout the night, especially if you have pets. Alcohol can be poisonous for pets, so don’t leave any drinks where your pets can reach them. When pets ingest alcohol, they could vomit, have tremors, or even lose consciousness. Many beverages are also bottled in glass, which can easily break and cause injuries for your guests and pets. Keep an eye on your pet to make sure they are safe from these dangers at all times. Though the firework show may be beautiful, your dog or cat may not be able to appreciate it quite as much as you. It’s no surprise that pets can get jumpy when there are loud noises abound, so it’s naturally that many cats and dogs act out when they hear fireworks. Many house pets express their anxiety by howling, crying, hiding, chewing up objects, walking in circles, etc. Prepare yourself and your pet for the ruckus of the new year by providing them with a safe, comfortable place to stay when the fireworks explode. You can also reward them for staying calm when there’s thunder or airplanes flying overhead throughout the year. Some pet parents have been able to acclimate their pets to the sound of fireworks by playing softer recordings before the big night. If none of these seem to work, you may want to contact your vet for advice. As the holiday season wraps up, you’ll probably need to take down your ornaments, tinsel, ribbons, and other festive decor. Try to keep your pet at a distance when you’re cleaning up because pets will often consume items they’re not supposed to. Plastic, metal, and glass are not digestible and could cause serious problems. Small decorations are also a choking hazard. Make sure to stow everything away in a place that can’t be accessed by your pets and try not to leave any trinkets behind. With the end of the year, we’d like to thank all our visitors at Brookhurst Animal Medical Center for being great pet owners and friends. If your pet ever needs medical attention, stop by our veterinary clinic. We’re always happy to help! Your pets are a part of the family, so getting them a gift for the holidays is only fitting! Do they really need a heated bed or a monogrammed sweater? Not necessarily. But during this festive time of the year, your four-legged friends deserve the absolute best! Check out this gift guide to see our favorite gifts for your dog or cat. If you live somewhere that gets especially cold in the winter, or just want your furry friend to stay warm, this heated bed is perfect for them! This bed is at a comfortable temperature that is suited for your pet’s normal body temperature. It is also designed for 24/7 operation so you can sleep comfortably knowing that your pet is safe and warm. You can get one online or check your local pet store. Just make sure to check on your pet to make sure they don’t get overheated at night! If you are curious about your mixed dog’s ancestry, there is a perfect solution for you! Similar to the DNA test kits for humans, the Embark test will tell you about your dogs’ ancestry, disease history, and even traits. All this test kit requires is a simple cheek swab from your dog’s mouth! There are a few different companies that provide this service, so you have plenty of options to choose from. Hammocks are the perfect vessel for the lazy cat that loves to lounge all day! With the adorable reversible pattern of leopard and white, you are sure to love it just as much as your cat. If you’ve got a mischievous feline, keep an eye on your pet, so they don’t get tangled or hurt by the hammock when it’s in use. You can grab these cute, kitten-sized hammocks online. A Santa Claus sweater is perfect for the cat lovers that enjoy dressing their companions up. Handmade on Etsy, your cat is sure to love dressing up like everyone’s favorite Christmas character! You can get one most stores and online. Target offers a few options and there are customizable ones on Etsy, too! Perfect for those pet owners that are always on the go, this affordable and fashion-forward pet carrier is sure to make a statement in your wardrobe (okay, so maybe this is a gift for owners too). Either way, your pet is sure to appreciate you for letting them tag along on all your daily errands! A colorful collar with your dog’s name and your phone number on it will ensure your furry friend never gets lost! It’s comfortable material and padding makes your dog enjoy their walks with you even more, while ensuring their safety. And get a matching leash while you’re at it, too! Burt’s Bees offers this all natural waterless shampoo that contains apple and honey, which acts as a natural cleanser that is rich in vitamins, minerals, and amino acids. This spray is mild enough for all cats and kittens and is pH balanced. This gift is perfect and affordable, but make sure to check with your veterinarian before you try it on your pet. Buy it here! Perfect for dogs on the go, this durable, water repellent dog bowl can travel everywhere with you and easily collapses. Simply throw it in your purse and go! Your dog will definitely thank you when the hot summer months come along. For the people that love dog walking, this personalized item is sure to help you enjoy it even more. You can personalize the dog bag holder with either your name or your pups! It’s perfect for bringing little treats, leashes, or doggie bags. Each felt toy is stuffed with organic catnip and made with eco-friendly felt made in the USA. Your cat is sure to go crazy for this fresh sushi! You can choose from tuna, salmon, egg, and shrimp for your cat. Now, you and your pet can enjoy your favorite dish together! 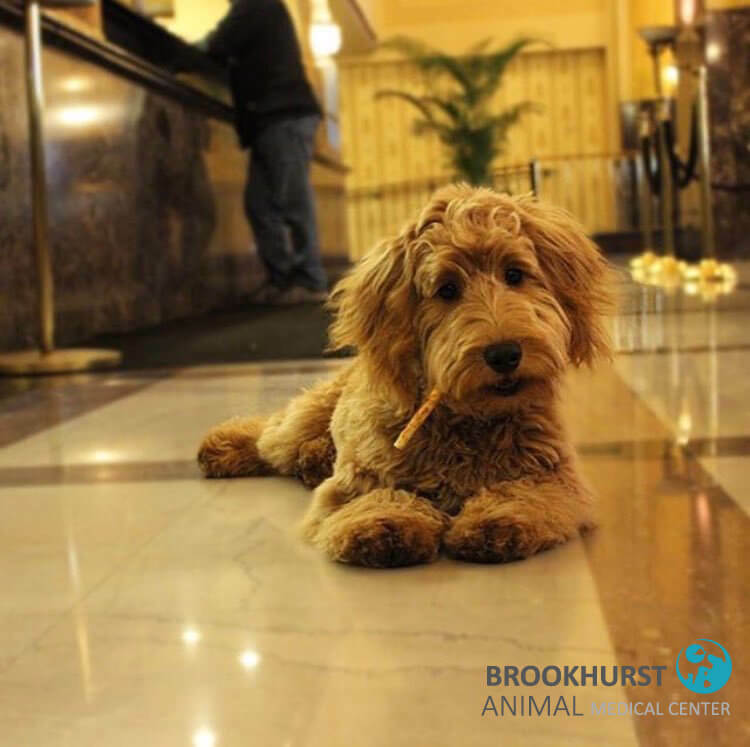 At Brookhurst Animal Medical Center, we’re so excited to spend the holidays with our friends, family, and pets this year! If you need to schedule a last minute vet appointment, please give us a call. Health and safety is the best gift all, so our Anaheim vet’s office be open for patients Christmas week (excluding Christmas Day). Unleash the hounds! Actually, don’t do that, but definitely don’t leave them home alone this Halloween. There are tons of dog-friendly Halloween activities in Anaheim and Orange County that you and your pet can attend together. 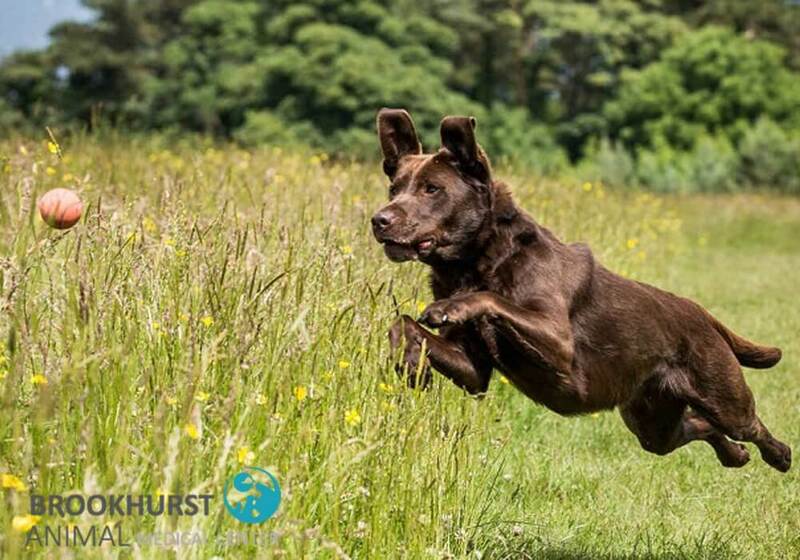 At Brookhurst Animal Medical Center, we’ve compiled a list of events that you and your dog can both look forward to this year. Let’s get started! Every year, the city of Anaheim hosts a Fall Festival filled with ghostly games, activities, and food. This year, it will take place on Saturday, October 27, near Downtown Anaheim. If your dog has a paw-rticularly impressive costume that you two would like to show off, there’s a pet parade at 2:45PM and a costume contest at 3PM. Hope to see you there! Anaheim Plaza is a shopping center filled with tons of hip, new shops and restaurants down Euclid Street. This year, they’re inviting you, your family, your friends, and your pets to trick-or-treat with them! Stop by the Anaheim Plaza Trick-or-Treat on Saturday, October 27, for face painting, a balloon artist, a live DJ, raffles, and giveaways between 11AM and 1PM. Huntington Beach Downtown is hosting an entire day of Halloween festivities that includes costume contests, pony rides, petting zoos, games, entertainment, and more! The celebration starts along the first three blocks of Main Street and the first block of 5th street at the Strand between 4PM and 8PM. Pets are welcome and encouraged to participate in the canine costume contest. Every Monday night, Fred’s Mexican Cafe hosts a doggie date night. Bring your pup down to Huntington Beach and with the purchase of each human entree, the restaurant will also give your furry friend a doggie dinner as well. The two of you can feast together on their outdoor patio to get in the spooky spirit on Monday, October 29. Still haven’t gotten your jack o’ lanterns ready for Halloween night? Not to worry, just head over to Pumpkin City in Anaheim, CA. The charming pumpkin farm has tons of gorgeous gourds to choose from as well as amusement rides, game booths, and activities that everyone can partake in. Best part is dogs are allowed in as long as they’re leashed and picked up after. Now, you can finally let your pup pick the pumpkins for once! Another spooktacular event that you and your dog can attend this year is the Anaheim Town Square Trick-or-Treat. There will be free crafts for kids, raffles, face painting, train rides, and more. Stop by between 11AM and 3PM on Saturday, October 27, to get in on the fun. We hope you and your pet have a great time on Halloween! To keep you and your furry friends safe, we’ve also created a Pet-Friendly Guide to Halloween. 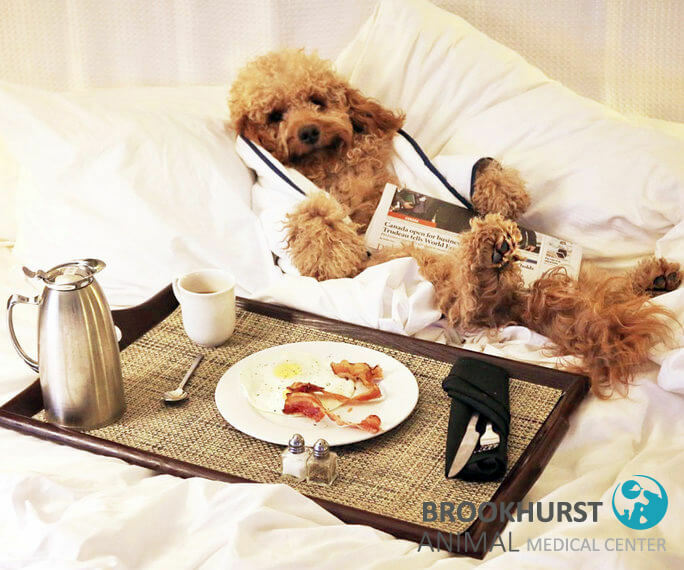 Brookhurst Animal Medical Center is a veterinary clinic in Anaheim that offers attentive veterinary care to animal throughout Orange County. Contact our Anaheim vet, Dr. Lopez, if you’d like to book an appointment. According to the LA Times, a relatively new breed of mosquitoes has taken over Southern California. This invasive breed is called Aedes Aegyptai and there have been multiple reports of its migration to Orange County. Unlike other mosquitoes, they bite during the day and mostly on the lower leg and ankle region. While mosquitoes can be itchy and annoying for us, they may be a life-threatening problem for our pets. The bloodthirsty pests are known to and infect dogs and cats with microfilaria, or heartworm larvae. Heartworm is a deadly disease that causes long-lasting damage to an animal’s internal organs. Once the worms have matured, usually within 3-4 months, they can grow up to 12 inches long and survive for many years. They can infect and cause major damage to vital organs such as the heart, lungs, liver, and kidney. Dogs are more commonly affected by heartworm disease than cats, but it’s still possible for cats to get heartworm, too. Symptoms of heartworm include loss of breath, lethargy, and a persistent cough. At first, however, there may be no symptoms of heartworm at all. That’s why it’s important to get your pets seen by a veterinarian regularly. How do I prevent heartworm? Once your pet is old enough, start getting them tested regularly. If you’re able to catch the infection early on, you can destroy the larvae and prevent heartworm disease. Your cat or dog veterinarian can help keep these parasites at bay by administering a shot of Moxidectin every six months. It is a neurotoxin that shocks and kills the heartworm larvae before it can reach the internal organs. Another way to prevent heartworm is feeding your pet chewables that also kill off the larvae. While these medications can prevent heartworm, they are still toxins. Ask your veterinarian about how to use them correctly, so you don’t compromise your pet’s immune system. Since heartworm is carried through mosquitoes, it’s more commonly spread during the hot season and warm climates. By keeping your home clean and mosquito-free, you can also reduce the risk of heartworm infection for your dog or cat. For example, if you have a pool, drain it to keep mosquitoes from breeding close by. Heartworm treatment exists, but it can be costly and dangerous to administer. It is a form of arsenic that is injected into the animal to kill off the worms, but it can also hurt your pet. Prevention is the key to keeping your dog or cat happy and healthy. Getting bit by mosquitoes is no fun, but it doesn’t mean you shouldn’t enjoy the last of the summer sun! As long as you are taking preventative measures to ward off icky heartworm, you can still go outside with your furry companion. If you have questions about heartworm or animal care, Dr. Lopez is a veterinarian in Anaheim who can help you. Make an appointment today! Orange County is full of fun activities whether you’re at Disneyland in Anaheim or touring historical landmarks in San Juan Capistrano. Not only are there amazing experiences for everyone to enjoy, the city is well known for its avid dog lovers and has tons of things for you and your dog to do as well. We highly recommend Orange County as a pet-friendly destination for families everywhere. Aside from all the festivities that our county has to offer, there are also tons of lodging options that are pet friendly. Here are ten places you can check out for when you’re ready to check in! The Kimpton Shorebreak Hotel is located in Huntington Beach, also known as the “Dog Beach” of Orange County. According to the hotel’s policy, pets of all sizes, shapes, and breeds are invited to stay as long as they aren’t a disturbance to other guests. 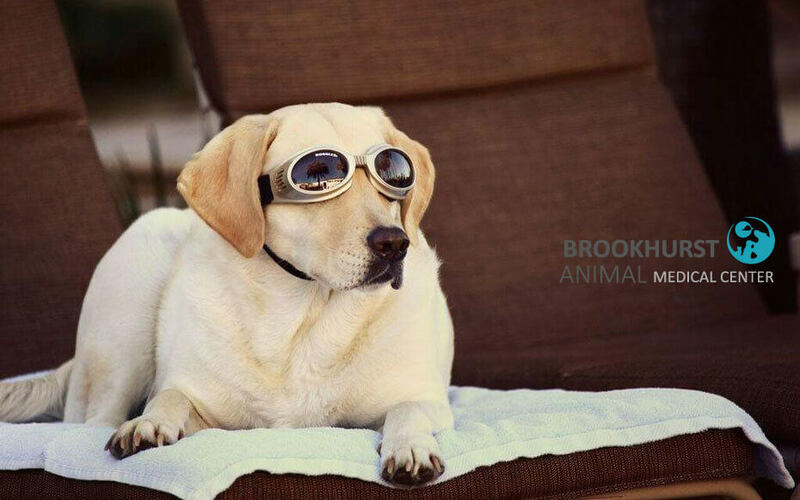 There is no additional fee for pets to stay at the Kimpton Shorebreak Hotel. Even better, you can request water bowls, bedding, clean-up bags, and treats for your pet! While you’re in Huntington Beach, make sure to stop by one of the many dog friendly bars and restaurants on Main Street. You can also pamper your pooch at the pet spa or treat them to a biscuit from the local Barkery. And of course, the ocean is just a short stroll away, so definitely take advantage of California’s sunny weather and go for a splash in the water! The La Quinta Inn & Suites are a chain of hotels that have multiple locations throughout Orange County. What’s great about that is each of their locations are pet-friendly! Whether you’re staying in Buena Park, Anaheim, Santa Ana, Irvine, or Costa Mesa, rest assured because they’ll welcome your cats or dogs at no extra cost. We do recommend calling beforehand to check if there are any limits on weight or number of pets allowed since the policy varies at each location. For anyone staying in the Northern Orange County area, there’s tons of entertainment to be found. Guests often recommend spending a day at Knott’s Berry Farm Theme Park or seeing a joust at Medieval Times in Buena Park. We do advise that you leave your furry friends at an animal daycare rather than in the hotel room if you choose to go to any of these events. It can be boring stuck inside all day! For anyone looking for a more affordable but equally hospitable place to spend the night, Motel 6 has a few branches of motels in Orange County that offer free board for pets. As long as your pets are well-behaved, you can keep them with you on your vacation! You can find these motels scattered throughout Orange County in cities including Anaheim, Irvine, Santa Ana, Costa Mesa, Orange, and Newport Beach. Usually, they’re strategically positioned right in the middle of bustling downtown areas. For example, the Anaheim Motel 6 is right by the Angels Stadium and the one in Irvine is just a short distance from Irvine Spectrum, where you can take a ride on the ferris wheel for a gorgeous view of Orange County. Definitely consider a Motel 6 if you and your pet plan on exploring the bigger cities! This cozy, boutique hotel offers all the perks of other hotels in a more suburban region of Anaheim. The calm hotel is perfect for pets and owners alike to relax for a weekend. The staff is happy to accommodate up to 2 pets per room for $25 a night. Just around the corner of this hotel is Dad Miller Golf Course for a calming afternoon on the range. If you want to take your dog out for a walk, there’s also a park on Brookhurst Street a little further down. Flying in from John Wayne? Hyatt House Irvine is conveniently located right next to the airport. The hotel will board your pet if it is under 50 pounds or if you have two pets, they will take both as long as they are less than 75 pounds combined. Their policy for pets varies depending on how long you stay so call beforehand to get an estimate! During your stay, you can also venture to a few of the great hikes that the city offers. Red Rock Canyon, Turtle Rock Viewpoint, and Quail Hill Treehead are just a few places to get started. Irvine also boasts a well kept dog park called Central Bark which is great for socializing with other dogs and dog enthusiasts. When you’re out and about, don’t forget to hydrate and stay in the shade! This Dana Point Bed and Breakfast is the perfect, cozy destination right by the beach. At Blue Lantern Inn, you can keep up to two dogs per guest room with a reservation and $65 fee paid in advance. They do have limited pet-friendly rooms, so call well ahead of time.The inn offers breathtaking views of the ocean and access to tons of pet-friendly restaurants, trails, and the gorgeous Dana Point Caves. Not only is the Hilton a well known, upscale hotel, it’s open for pets! For a $50 fee, you can keep up to two pets in your room as long as they are less than 75 pounds combined. There are multiple branches of the hotel in Irvine, Costa Mesa, Anaheim, and Santa Ana. 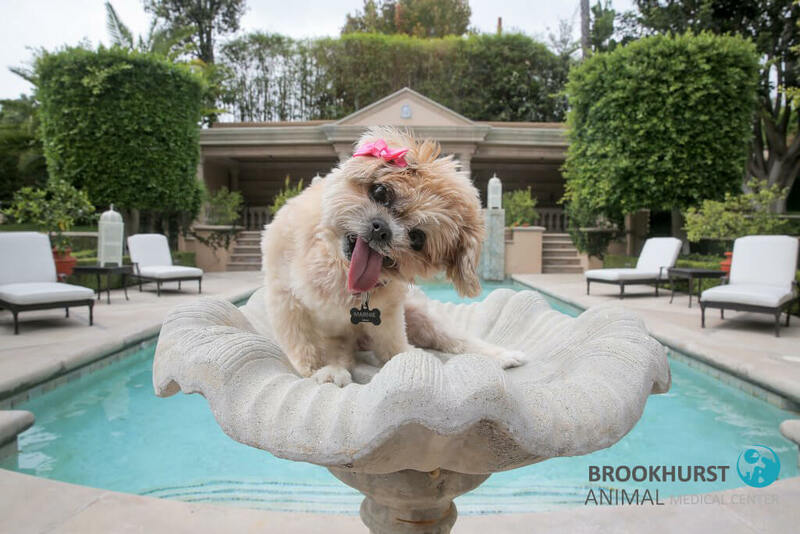 If you have smaller pets, Renaissance Newport Beach Hotel might be the perfect place for you. You can keep two pets up to 50 pounds cumulatively per room for a flat rate of $50. The hotel boasts beautiful decoration, modern architecture, and friendly staff who are happy to help you with your pets. A fantastic event for dog-owners in Newport Beach is the annual Corgi Beach Day, where all corgis and their owners meet up for a day of fun in the sun. Similarly, Yappy Hour is an event that’s hosted monthly by local establishments for owners to their dogs mingle and play with each other. There’s also Muttropolis located at Fashion Island if you’d like to pamper your pooch at a fancy dog boutique. At Red Lion Hotel, two pets of any size are allowed to stay with a nominal fee of $15. The hotel is right by downtown Anaheim. Guests can easily bring their pets to the Packing House or La Palma dog park in their spare time. If all else fails and you don’t think any of these hotels are a good fit, tons of people welcome guests into their homes via Air BnB. Simply filter out all the pet-friendly options and send the owner a message about precious pet beforehand. Orange County is full of animal lovers, so we have no doubt you’ll be able to find the perfect place to stay. No matter where you choose to stay, Orange County has tons to offer you and your pet(s). Remember that in hotel rooms, hostels, or Bed & Breakfasts, dogs and cats shouldn’t be left alone too long. If they get restless or anxious, they could do serious damage to the property and leave you with huge fees to pay afterward. Worse, they could hurt themselves or others! To avoid such scary situations, keep your pets safe and healthy when traveling with supervision and preparation. 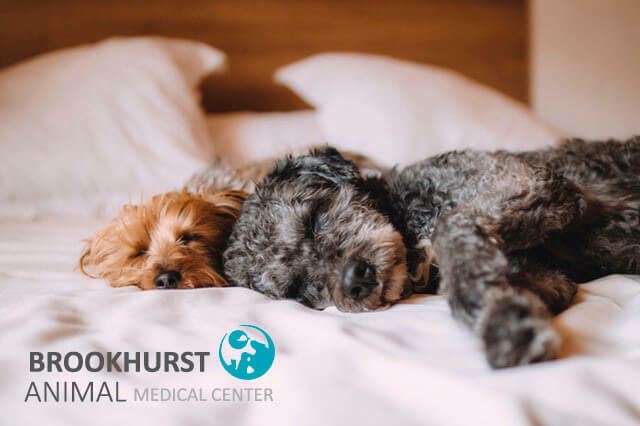 If you find yourself needing a veterinarian during your stay, Brookhurst Animal Medical Center is a veterinary practice located in Anaheim and we are here to help. We know animal emergencies can be stressful and unexpected. We’re here to make those situations more manageable and help your pet no matter what. Pets are a lot of work. From having to keep them clean to cleaning after their messes, dogs and cats can become a huge commitment, but you may also find your life very disorganized after getting a pet. Many American households may find themselves with a variety of animals, from dogs to reptiles. Cleaning after them and keeping an organized structure may become difficult when you don’t know the ins and out of living with mini pigs, birds, cats, reptiles, and such. Don’t fear, maintaining your pets is not as hard as you think. Here is a list of tips that help when trying to live an organized life when your household has cats and dogs. 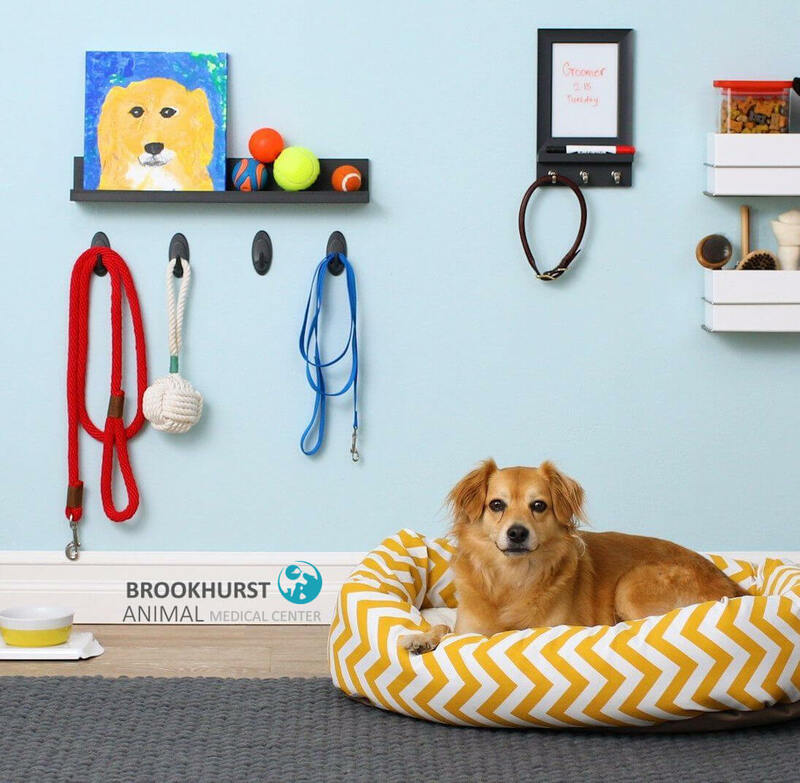 To stay organized with multiple pets, it’s best to separate and organize all pet belongings. It starts with veterinary organizing appointments to bedding designation; pet living must be kept organized to help the owner and pet’s happiness. We, humans, keep files of paperwork of our health records, taxes, and other necessary paperwork, so why don’t we have a place for our pet records? Pet records include adoption records, traveling paperwork, veterinary visit history, microchip records and any other documentation needed to keep your pet safe and healthy. Keeping separate folders that contain information for each pet will help in case of any unexpected event. It starts with just one squeaky ball, but suddenly, toys and pet supplies multiply, and soon, you are tripping over chew toys and stepping into your dog’s water tray. It is important to remember to maintain pet belongings just as organized as you maintain yours. Separate Feeding Location: If there is ever tension between your pets when they eat next to each other, it might be a good idea to provide a separate feeding location to avoid food hostility. This will allow peaceful eating because all pets have different styles of how they eat their food. It is also recommended to pick an appropriate location to store your pet’s food bins. Storing and Separating Pet Toys: Our pets are very territorial, so providing separate toys for each pet will decrease the possibilities of disagreements between pets. We don’t know how many toys we own, but having a selected place where all of them end up at the end of the day will make cleaning less stressful. This also lowers the chances of losing your cat’s favorite feather toy! Litter Box: Provide a litter box for each cat. Cats will appreciate you for their clean litter box. If you want to go the extra mile, train your cat how to use the toilet! Multiple Beds: It all starts with a success ful slumber. Providing Multiple Beds around the house will allow each pet to have their space that will enable them to nap and rest. When there is a lot of sharing that needs to be done between the pets, it is helpful to give each pet something that is just theirs. Providing multiple beds will also make the sofa less tempting for your pets. There is that one thing that we all hate as dog owners: dog shedding. Some shed excessively, leaving hair everywhere. One way to maintain it is by placing fleece blankets and throws around your home. This gives your living room a trendy look that also hides the hair. If you are allergic to pet hair, you can control your pet allergies with an air purifier. Depending on the canine you own, at times you may find yourself trying to accomplish a task, but your three pets running around the house can make it very difficult. Having baby gates will provide a space for the dog and allow you to cook or clean without complications. Lastly, more pets mean more fun times, love, and attention! Not just more messes. Make sure you, as an owner, are prepared to provide the quality of care each pet desires. Difficulties may arise when a household fosters several pets, but the memories and love are unmeasurable. Organize and maintain for your pets as you would for your belongings, and this will help keep an organized life while owning several pets. Organize your next pet appointment with Dr. Lopez, an experienced veterinarian in Orange County, to make sure your pets are healthy and happy! Does This Human Make Me Look Fat? Approximately 2 out of 3 American pets are considered overweight or obese. According to a 2017 study from the Association of Pet Obesity Prevention, 56% of cats and 60% of dogs are overweight due to poor diet and lack of exercise. Despite the recent push toward healthy, balanced eating for humans, there has been significantly less information about how to improve the diet and lifestyle of some of our most beloved family members, our pets. Without nutritious food and exercise, animals can easily develop costly and even life-threatening health problems such as diabetes, kidney dysfunction, respiratory disorders, or worse. 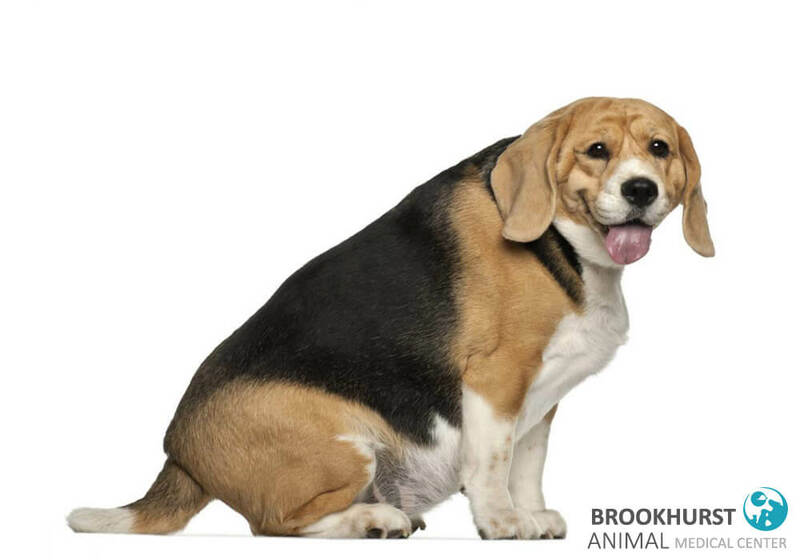 Like humans, all animal body types are different, so make sure to do your research on the healthy size for your pet’s breed. Some dogs are naturally lean and others are perfectly healthy couch potatoes. If you’re still not sure, you can always take your pet to a veterinarian for a professional evaluation. Unfortunately, there are few regulations on pet food to ensure animals are receiving the nutrients and vitamins they need. A lot of products in the market are low-quality and unhealthy for animals. Many owners are unaware that their cat or dog’s favorite food is the animal equivalent of eating junk food with little nutritional content. Check the ingredients before you purchase any pet food. BHA (butylated hydroxyanisole), BHT (butylated hydroxytoluene), and ethoxyquin are artificial preservatives commonly used in items like chips, cereal, gum, fast food, pharmaceuticals, and cosmetics. While these preservatives can be harmless in small doses, experts recommend limiting the consumption of them because they might have low doses of potentially toxic content. It’s better to stay on the safe side and opt for a brand with minimal or no synthetic preservatives, especially if you’re feeding your pet the same thing every day. Simple carbohydrates such as white flours, corn flour, and corn syrup can be unhealthy for humans and animals alike when consumed in excess. They cause a quick spike in blood sugar and don’t fill the stomach for long, which may lead to overeating. For animals like dogs and cats, who are primarily carnivores, it’s unhealthy to be eating more filler carbs than healthy protein. When these animals have too much sugar, it can have harmful effects in the long run. Meat, meat-product, rendered fat, or meat byproduct are seemingly harmless, but these names typically indicate low-grade processed meat. These vague terms could mean anything from expired meat and sick animals to unwanted parts such as hooves, organs, or intestines. Easily identifiable sources of protein such as lamb, chicken, beef, and fish are optimal for cats and dogs who need a protein-based diet. These should be the first few ingredients listed in the food. A meat source followed by the word “meal” is also a sign of quality protein. Whole grains such as brown rice, quinoa, and oats can be healthy for dogs and cats. The complex carbs in whole grains are a soluble fiber that keeps your pet full and help with digestion. They can be really healthy in moderation. Vegetables such as carrots, green beans, and broccoli provide nutritious vitamins and minerals that can boost the immune system. While they’re not necessary, they have many health benefits and add flavor to pet food. as expensive and time-consuming as it seems and it can definitely benefit your pet to have some variety in their diet. Lastly, stop feeding your animals table scraps! The extra calories add up and more often than not, human food isn’t healthy for dogs and cats. oo fast, they ingest large amounts of air, resulting in discomfort and even vomiting. In the worst case scenario, they may develop Gastric Dilation Volvulus, which is when air expands in the stomach and ruptures. Luckily, there are many ways to avoid this problem. If your pet eats dry food, you can scatter food on the floor, so your pet has to eat each piece separately. This method is only viable, however, on clean hardwood floor or concrete. You don’t want your pet ingesting any harmful chemicals, dirt, or other objects. There are also plenty of slow feeder bowls that are designed with obstructions in the bowl your dog will have to eat around, slowing them down. For cats, puzzle balls are a great option for both mental stimulation and controlled eating. The food is placed in a ball with food inside that the cat must move around for the food to fall out of the holes. A simple way to slow down your pet’s eating is to feed them more meals in smaller quantities throughout the day. The exercise required to maintain a healthy lifestyle depends on your dog or cat’s breed and age. Ask your local veterinarian to assess just how much is appropriate for your pet. For obese animals, so much exercise all at once can be laborious, so owners may have to slowly incorporate more and more exercise into their pets’ daily routines with time. Typically, 30 minutes to two hours a day is a good amount of exercise for dogs. Take your dog for a walk, play a game of fetch, or go swim! It’ll be good for both you and your pup to head outside for some fresh air and outdoor activity. If you’re located around Anaheim like us, we have a list of fun things to do for you and your dog to do right here in Orange County. Unlike dogs, cats have extremely high metabolisms that allow them to lounge about without too much consequence. Nevertheless, you should still consult your veterinarian about a fitness plan for your cat, especially if they’ve been getting a little pudgier than usual. For most cats, aim for around 15 minutes of exercise. Get some toys like yarn, a laser light, a wand, or a ball. Kittens can actually be trained to go on walks similar to dogs, but that does require proper training and equipment. Cats like to climb, so getting a cat tree could encourage your cat to exercise more. Pet obesity is no joke! It can lead to tons of expensive, painful health issues later down the road such as liver disease or osteoarthritis. Just because your little buddy is somewhat fluffier than normal, that doesn’t necessarily make you a bad owner. Now that you know, there are numerous ways to prevent and treat obesity for pets, so they can live the long, healthy lives they deserve. If you’re worried about your pet, it’s never too late to ask your veterinarian for a checkup, pet food recommendations, and an exercise plan. If you have more questions about pet obesity, Dr. Lopez is an experienced veterinarian in Orange County who can answer your questions and help your furry friend. Do Our Pets Enjoy Music? In the opening scene of The Secret Life of Pets, we watch as a French poodle has had enough of the classical music his owner has been playing throughout the morning. The French poodle quickly changes the music to heavy metal the minute his owner leaves for the day. He then starts jamming, headbanging to heavy metal while it blasts through the speakers. Although this is just an animated movie, a question arises. Do dogs enjoy music and more importantly, do they enjoy the music their owners enjoy playing? We listen to a lot of music in our households. There is always music playing through the house; it can be coming from the kitchen while a meal is being prepared or in the bathroom while we pretend to be America’s next top pop star. Now, have you ever stopped and wondered, does my dog care about the music I play and how loud I play it? A dog’s sense of hearing is ranked second right after their sense of smell. A canine’s sense of hearing is four times better than the average human. Dogs can hear the frequency of 40 to 60,000 hertz, while a human can hear the frequency of 20,000 Hertz. This means that sounds that can be acceptable for humans may be uncomfortable for many dogs. It is easy to look around and agree that all human ears look the same. For dogs, that isn’t the case. Dog ears can differentiate in size, shape, or the amount of hair. There’s the prick-eared wolf, bat-eared corgi, drop or pendant eared basset hound, V-shaped ear vizsla and many more. It may be easier for a greyhound with rose ears to listen compared to a bloodhound with folded ears. This is just because of the fur that surrounds the ear and how the ear lays on the dog. Not to show off, but while a human may be able to wiggle their ears, a dog has 18 muscles in each ear that makes it possible to wiggle, tilt, raise or lower, and rotate their ears. You may ask yourself how your dog heard the mailman way before he was right at your doorstep. Dogs can move their ear around to locate and focus on sounds. Research conducted by Deborah Wells, a psychologist at Queen’s University Belfast shows that dogs do behave differently in response to the different music that is being played. Dogs seem to act relaxed with classical music and seem to bark and seem tensed with heavy metal. So, you may ask why it is that in The Secret Life of Pets, the French poodle seems to hate classical music but enjoys heavy metal? Is it because the French poodle is being rebellious and won’t listen to anything his owner listens to? Is it because dogs can have a sense of understanding when it comes to music and the poodle in the movie has his specific music taste? Species-Specific Music: Tunes specially designed using the pitches, tones, and tempos that are familiar to their particular species. You heard it here folks, dogs might as well have the ability to form their own music taste! And we thought dogs couldn’t get any cooler! Of course, this doesn’t mean that your dog has the same music taste as you do. Actually, for most animals, the music we play throughout the house is unrecognizable. Just like the hertz between humans and dogs are different, so are their vocal ranges and heart rates. Our vocal ranges and heart rates are the reasons we like certain music, and because dogs’ and humans’ vocal ranges and heart races are so different, the music we play is simply just not meant for the ears of dogs. What Music Does My Dog Enjoy? If you have an anxious little pup or a huge bulldog, classical music does soothe dogs! Lower frequencies calm the canine nervous systems. 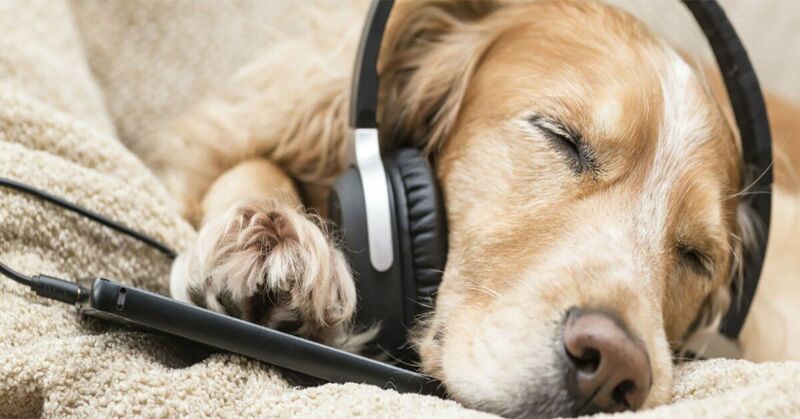 Dogs generally like music that is soothing. Now, don’t go home and play classical music all day long, as you can see in the scene of The Secret Life of Pets, classical music does get boring and heavy metal may be needed. Just remember, some sounds that can be acceptable for humans may be uncomfortable for many dogs. 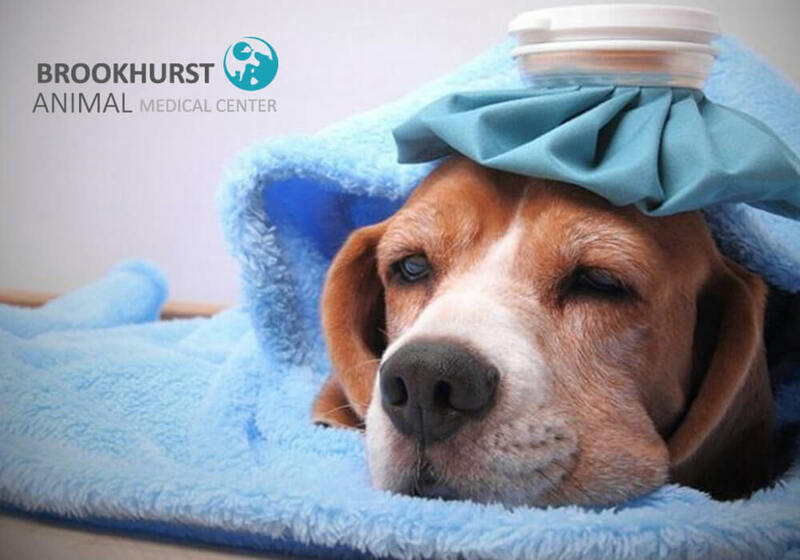 At Brookhurst Animal Medical Center, Doctor Carlos Lopez would be happy to help figure out if your loved furry one is having difficulties with their pinna or if the music being played at home is the problem. Itching to adopt a pet? Literally? Despite the wishes of their physicians, an estimated 10% of pet owners who are allergic to their beloved animals still keep them, yet they continue to lead healthy and happy lives. By understanding why they are allergic to certain animals and choosing the right hypoallergenic pet, tons of people are able to control their symptoms and enjoy the companionship of a lifetime. In the battle against pet allergies, here’s how you can own yours – let’s break it down. Many animals produce a type of protein that is found in animal urine, saliva, and dander. Some people have immune systems who can’t handle these foreign substances which is what triggers allergies. Symptoms may include symptoms like teary eyes, itching, swollen membranes and more. Contrary to what many believe, people aren’t allergic to pet hair – they’re allergic to the allergens that are present in pet hair. Allergic reactions can be caused when the allergens become airborne as well, so it’s possible to be susceptible to an allergy attack without even touching the culprit. Don’t forget, animals can be allergic to things, too! Many dogs and cats experience allergies between each other and some are even allergic to humans. If your pet suffers from allergies, visit a local veterinarian to figure out the best course of action. Regular grooming: It’s important to bathe and brush your pet regularly to remove dirt and dander that’s building up. Pets should get their fur trimmed quite often as well to reduce shedding. Air purifiers: Investing in an air purifier will get rid of the allergens floating in the air that cause allergies. Not only do air purifiers get rid of dander, they filter out dust, pollen, smoke, and most other pollutants as well. Allergy medication: Pharmacies offer over-the-counter drugs such as Claritin and Zyrtec that contain antihistamines. These chemicals reduce the natural histamines in the body that cause runny noses, teary eyes, and swelling. Immunotherapy: Some doctors may recommend getting allergy shots. How this works is the doctor will inject the patient with a tiny amount of the substance that they are allergic to, which should stimulate the production of “blocking” antibodies that reduce allergy symptoms. Gradually, the doses will increase and then stabilize. This option isn’t for everyone, so make sure to double check with a doctor. Hygiene: Stay extra clean to avoid getting any dander in the sinus cavities, eyes, or mouth. Some good practices include washing your hands after every encounter with your pet, doing laundry every week including pillows and sheets, and vacuuming regularly. This will eliminate pet hair or mucus around the house that may be causing symptoms. Here’s some more in-depth information about how you can keep your home clean when you have pets. Pet-only areas: Lastly, it may be a good idea to designate a specific area for pets to avoid getting allergens all over the house. Keep them outside or invest in a pet gate, so they’re not shedding all over the house. If your pet allergies are extremely serious, many pets are still available out there. According to Babble, experts have determined some animals produce less allergens or no allergens at all, making them better choices for people who are hyper-sensitive to these substances. There are tons of options out there including certain breeds of dogs, cats, fish, reptiles, birds, and more. Here’s a list of hypoallergenic pets that may be compatible with your allergies. Small mammals: Gerbils, guinea pigs, mice, and rabbits are all awesome pets because they have short fur and they shed less than dogs and cats. Since they are usually left them outside (in the case of guinea pigs and rabbits) or in a cage, the chance that allergens will spread is much lower. There are even hairless rodents and hamster available for people with extreme allergies. Amphibians: Like reptiles, amphibians don’t have fur or dander. Besides being gloriously slimy, many of them are excellent, low maintenance pets for first-time pet owners. Popular amphibians are frogs, salamanders, axolotls, newts, and toads. Pigs: Pigs can make great pets if you have the space and resources to provide for a bigger pet. They have hair instead of fur, so they have may be a better choice for those with pet allergies. It’s important to remember that most pigs do grow to be over 100 pounds large, so make sure that you can provide the space they need. It’s critical to do your research on mini pigs and how to properly care for them! Insects, bugs, spiders, and more: These unorthodox pets produce no dander and they are very unique pets. Tons of people own spiders, ant farms, snails, and even cockroaches. Just be careful not to let them loose in the house! Hermit crabs: These curious, little invertebrates are completely hypoallergenic. Hermit crabs vary in size, color, and change shells as they grow larger. However, they aren’t as low maintenance as people may believe. Hermit crabs can live over 30 years, but they need lots of space, shells, proper humidity, companions, sand, toys, and a special diet. Here’s more information about hermit crab care for beginners. Fish: Fish come with different sizes, shapes, colors, and personalities. These hypoallergenic pets are a classic. Pet allergies can definitely be in-fur-iating, but they’re no reason to eliminate the possibility of having pets altogether. There are tons of solutions available to treat them and lots of hypoallergenic pets to adopt. If you’re interested, check out your local pet shelter because there are always animals in need of loving homes. For anyone who’s already a proud pet parent, Brookhurst Animal is a veterinary clinic located in Anaheim, CA, and we are just a call away if your pet needs medical attention.